In class, your dog is a rock star at “sit,” “down,” and leash walking. However, when friends come into your home, or you’re walking him through your busy neighborhood, your dog jumps on your guests and yanks you down the street. It’s embarrassing! Let us provide real-life training in your dog’s usual surroundings, so you enjoy real-life progress. Or, perhaps your dog is anxious, excited, fearful, even aggressive. You’ll likely miss important instructions worrying about his barking, cowering, or lunging. Get relief from stressful behaviors. We’ll focus on your concerns, where you need your dog to behave. Plus, we’ll schedule sessions at your convenience. You won’t miss a thing while you’re on the work trip you planned months ago. Our personalized sessions (scheduled where and when you need them) provide quicker results. Ready for a better behaved dog? Let us come to you! Our one-hour sessions are available weekdays, weeknights, and weekends. Your first training session will start in your home where we’ll quickly assess your dog’s behavior and show you exercises for behavioral improvement. Then, we’ll introduce real-life distractions or head outside, as promptly as possible, based on your dog’s behavior while coaching you through every step. To get the maximum benefit from every minute with your trainer, please provide as many details as possible about your goals and issues in our first session form. Your trainer will review all of your concerns before her arrival, so you’ll get tons of helpful tips in every session—specific to your needs. For recommended packages specific to behavioral issues and training objectives, please click here. Evening and weekend lessons are very popular and often book 2-3 weeks in advance. 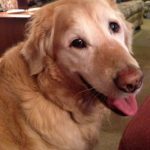 Barker Behavior – offering dog and puppy training to the following Chicago neighborhoods: Albany Park, North Center, Irving Park, Mayfair, Sauganash, Edgewater, Uptown, Rogers Park, Evanston, Lincoln Square, Ravenswood, Lakeview, Roscoe Village, Bucktown, Logan Square, Wicker Park, Lincoln Park, and Portage Park.